The latest addition to our Italia Collection. Whether your home is modern or traditional The Trieste will provide a timeless appeal to the front of your home. Make the most out of the large glazed panel by choosing one of our beautiful decorative glass designs like Park Lane Bespoke, Caledonian Rose or London Etch Border. 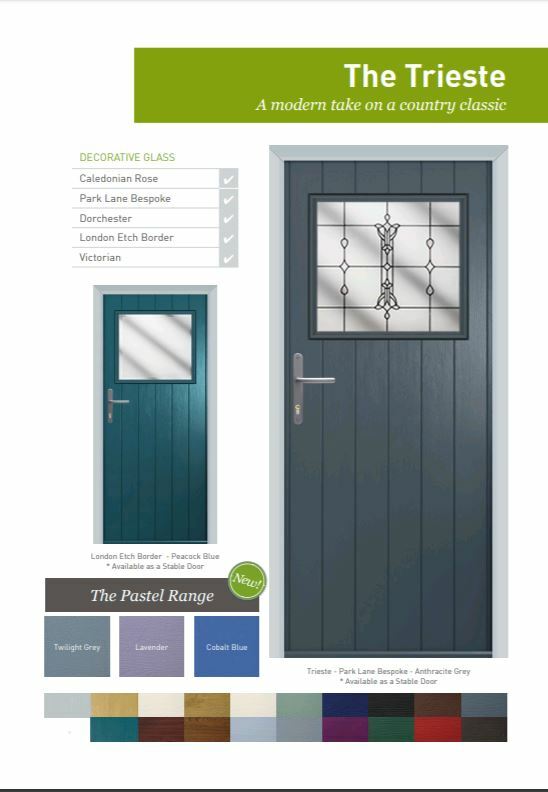 The Trieste is can also be transformed into a stunning stable door making it a great option for a side or rear door.